Despite 20% hotel revenue declines since the peak in 2008 (the largest decline among the major CMBS property types), Fitch’s Outlook for the hotel sector remains Negative. Delinquencies for hotel CMBS currently stand at 16.6%, representing approximately $8.4 billion in total hotel loan balance. Fitch projects delinquencies to double from current levels and hit 25-30% by 2012 even as operating performance begins to stabilize. 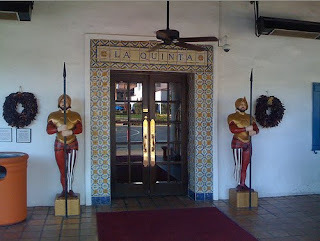 I'm going to Palm Springs and staying at the LaQuinta Resort for $80 using Priceline. I forget to read Fitch before I booked my stay. Because only on Wall Street do they think they consumer makes decisions by what the charts or analysts say!